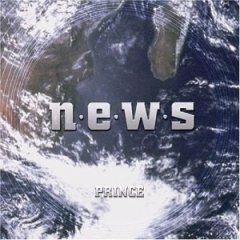 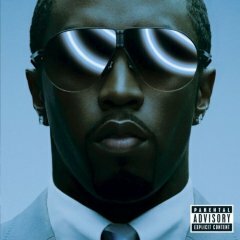 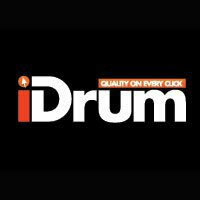 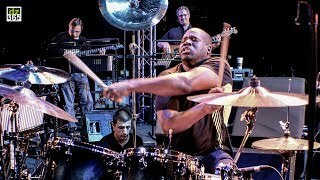 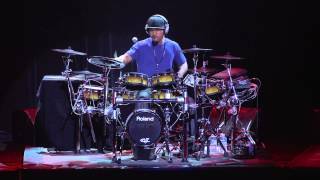 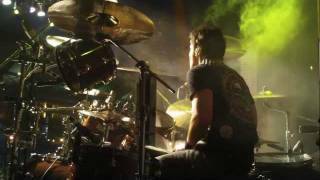 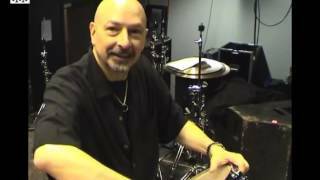 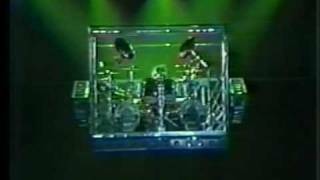 Drummerszone - John Blackwell Jr.
RT @purplehassan: Prince Purple Rain Live in Rome on the 20ten Tour 2010 One of the greatest live versions of Purple Rain ever performe? 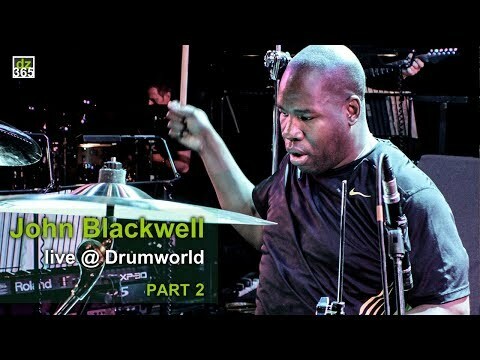 You & John Blackwell Jr.
Upload your media with John Blackwell Jr. 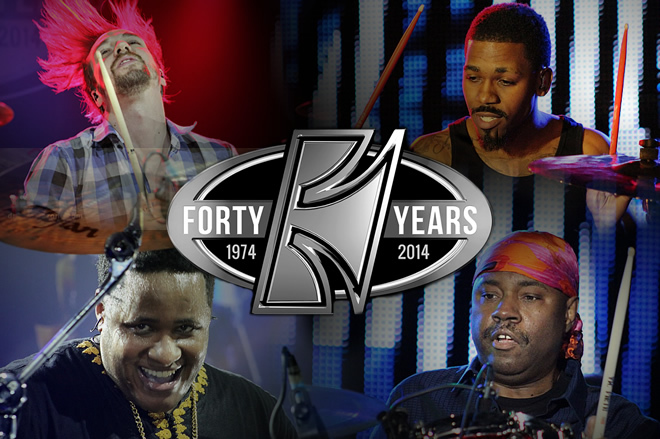 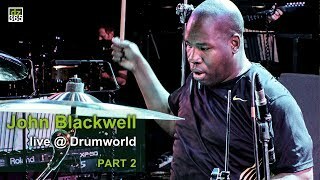 Videos of John Blackwell's performance at the Buddy Rich 25th Anniversary Memorial Concert in London in 2012. 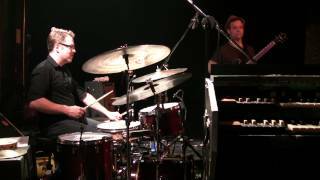 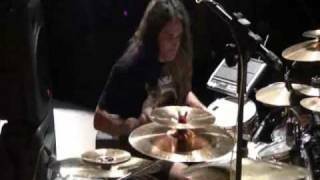 John simply played the roof off of the London Palladium on April 2, 2012. 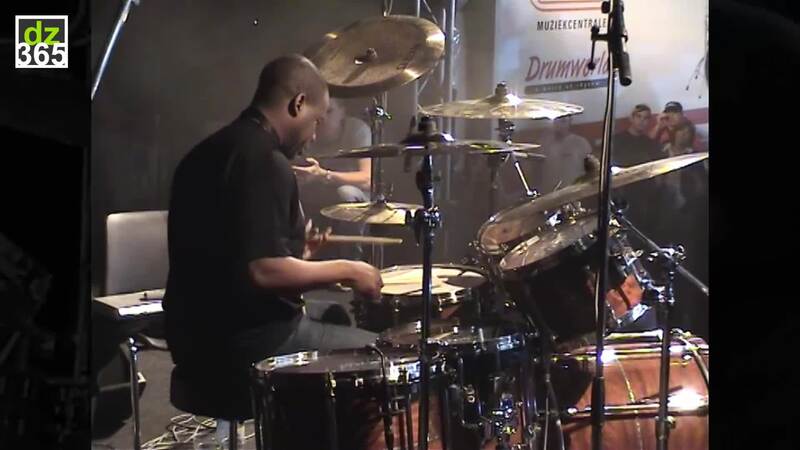 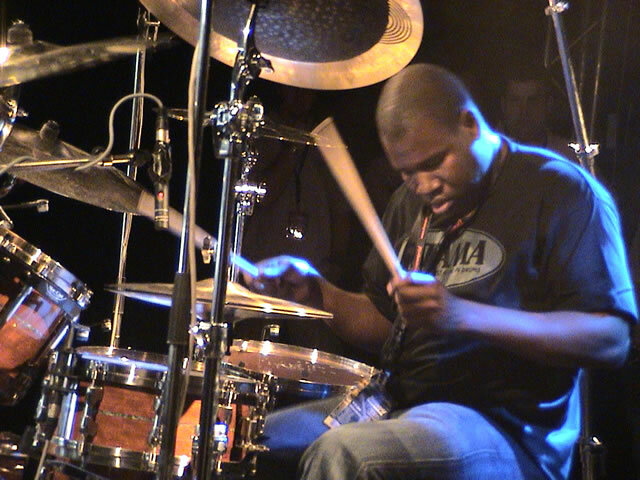 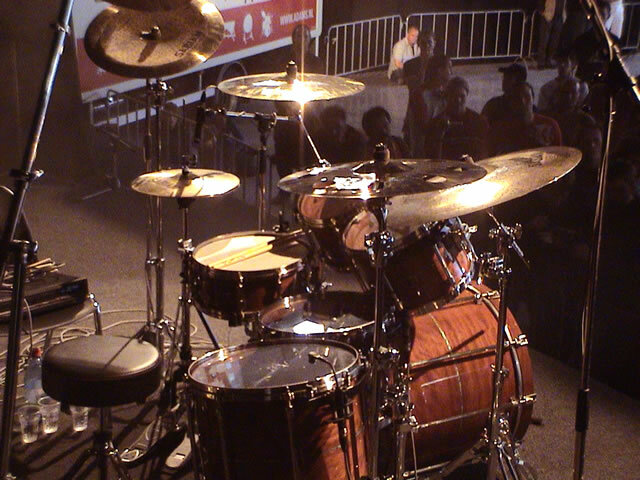 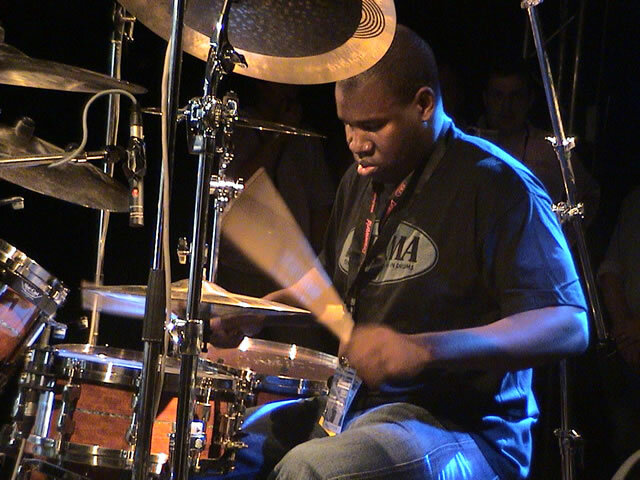 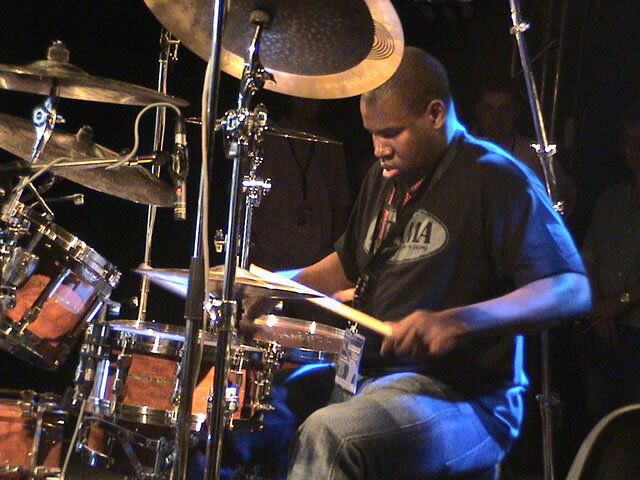 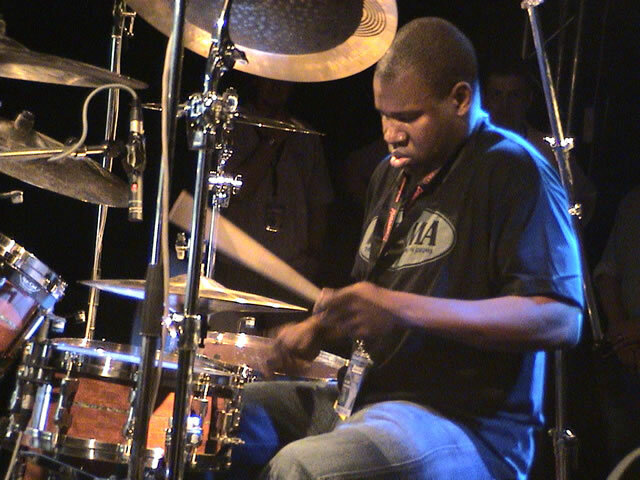 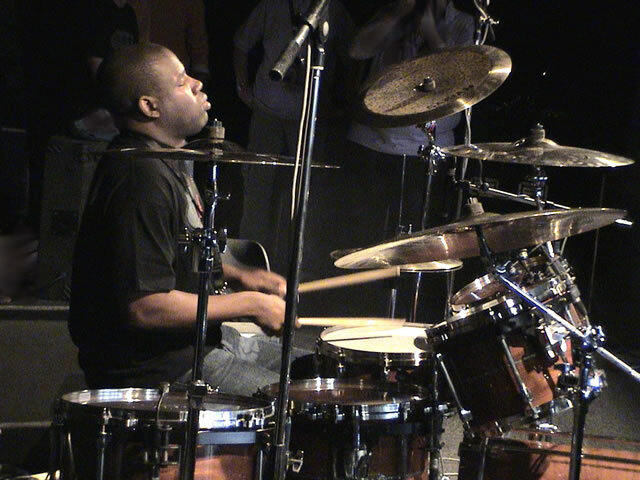 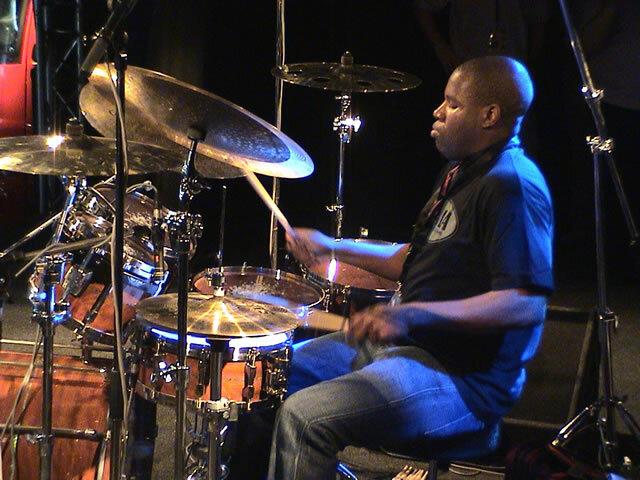 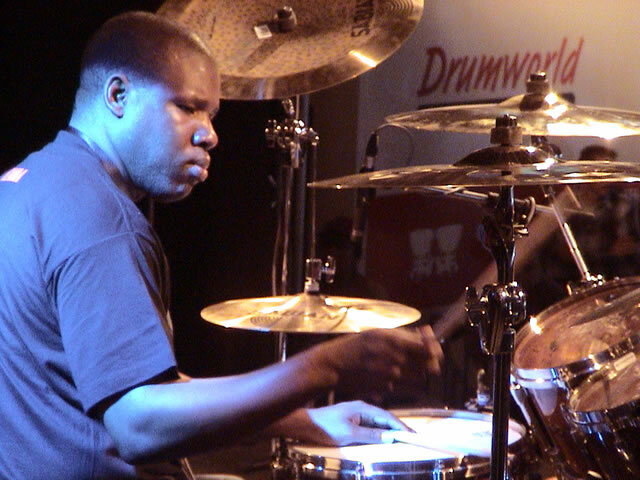 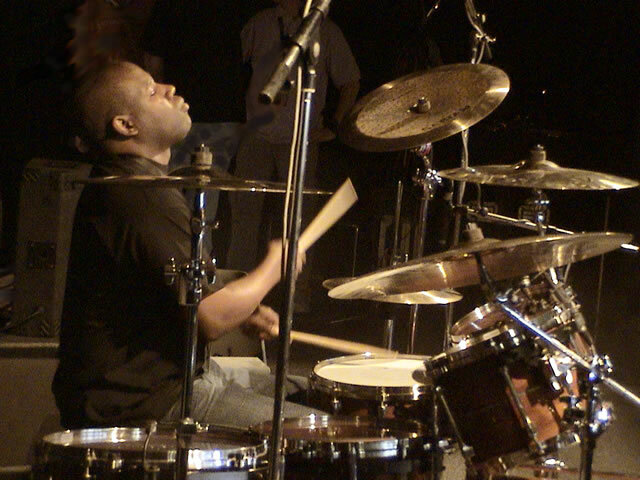 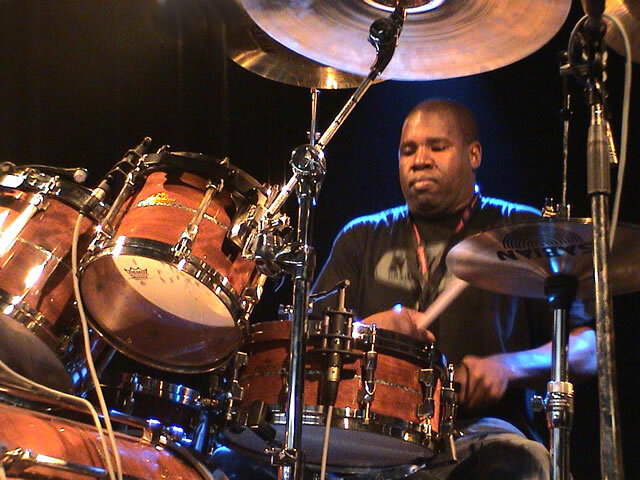 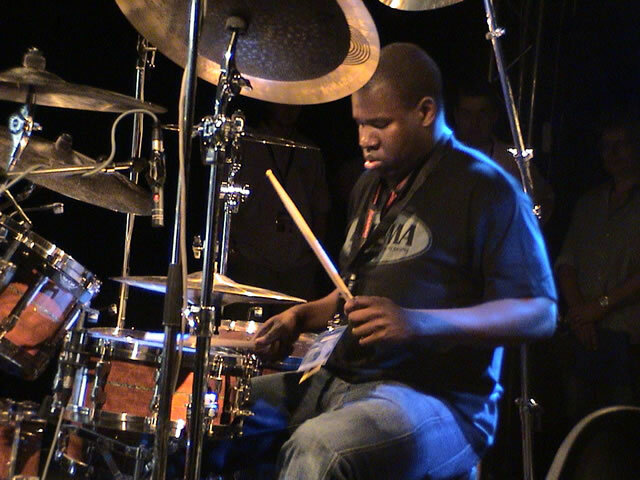 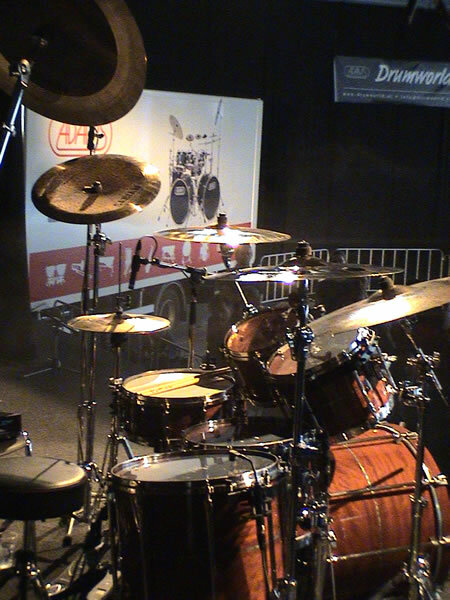 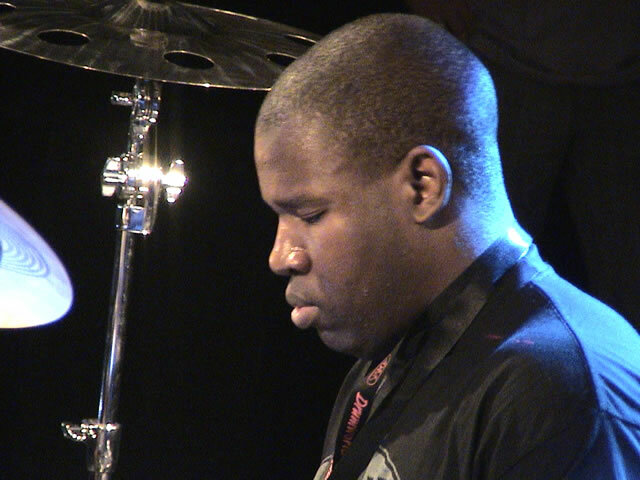 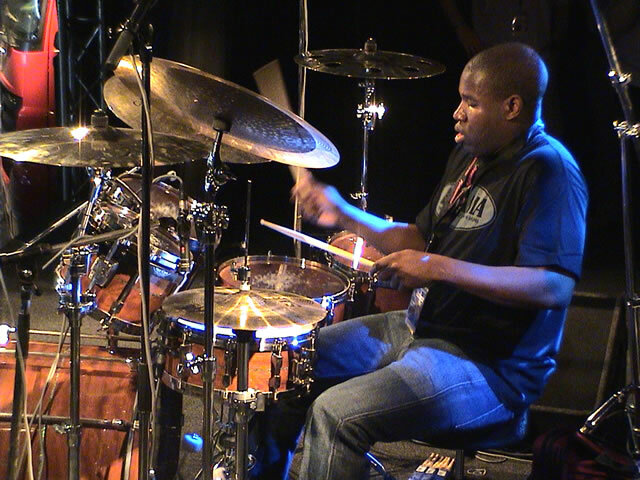 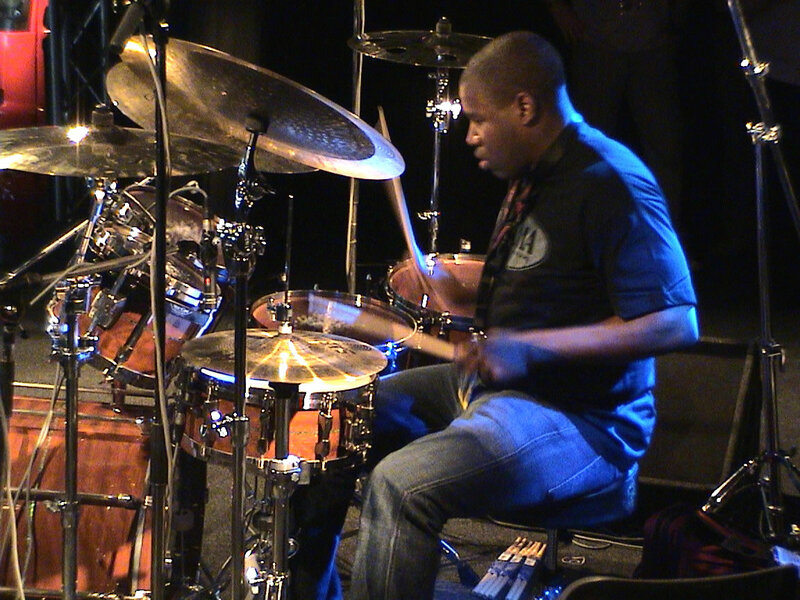 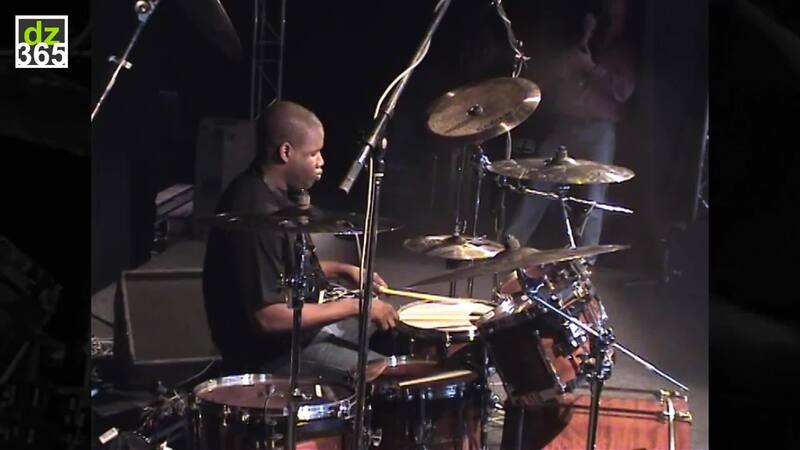 John Blackwell Jr. performing at the Adams Drumworld Festival in Ittervoort, Netherlands on September 17, 2005. 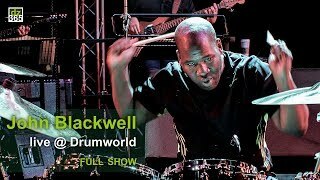 Artist biography John Blackwell Jr.
Official biography published on social media (August 15, 2017). 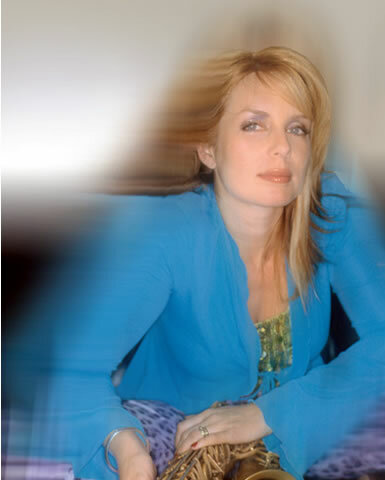 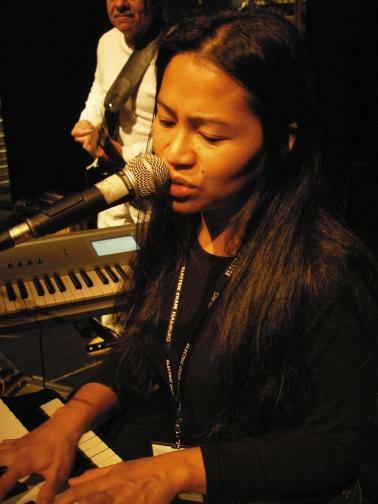 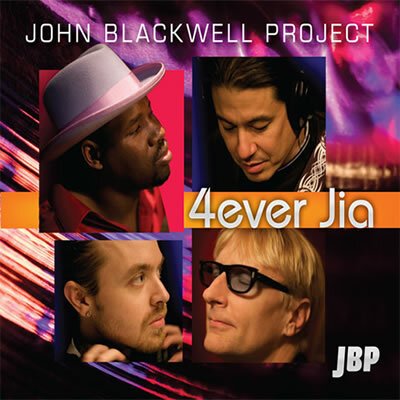 4EverJia is a project dedicated to John's daughter Jia, who was tragically taken away from us in 2004. 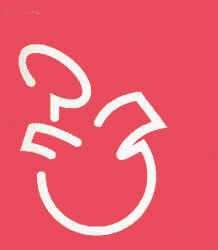 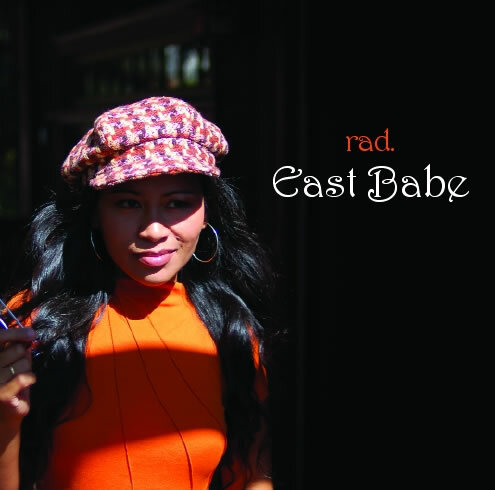 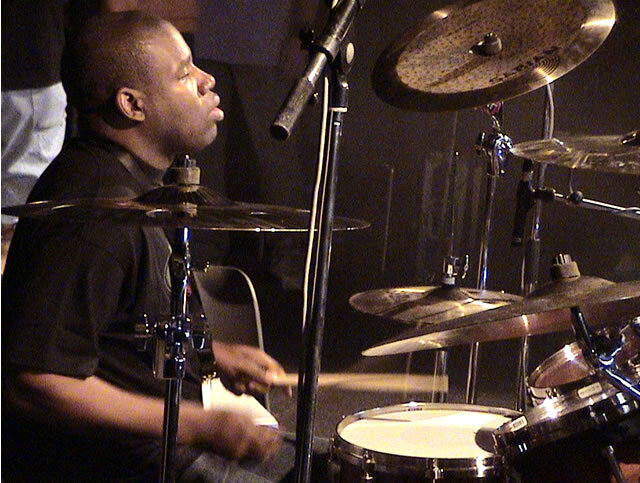 This CD was born out of love and the desire to put the music and the musician at the forefront of our industry. 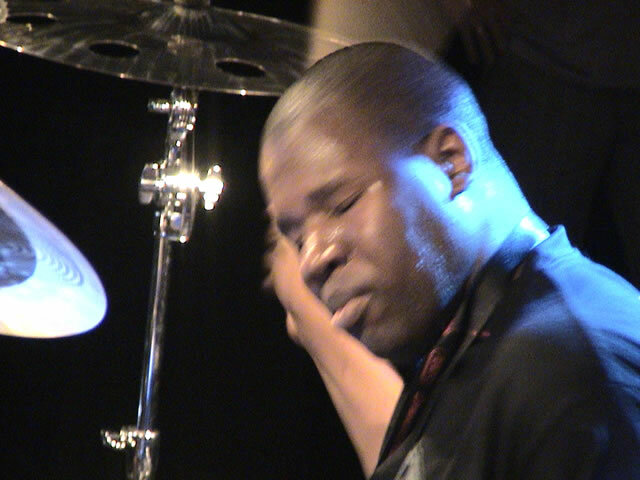 It is jazz and it is funk. 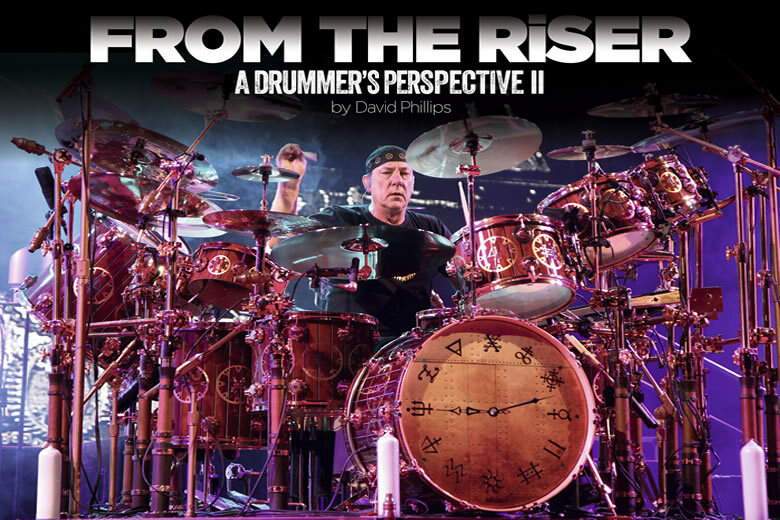 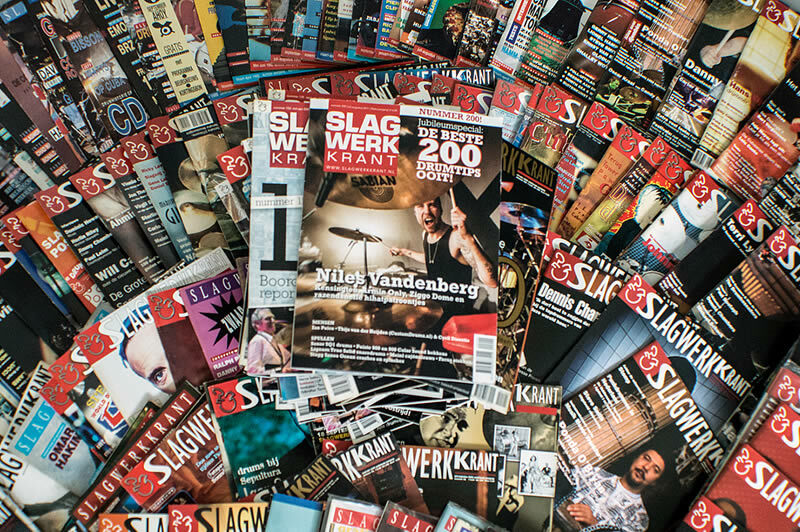 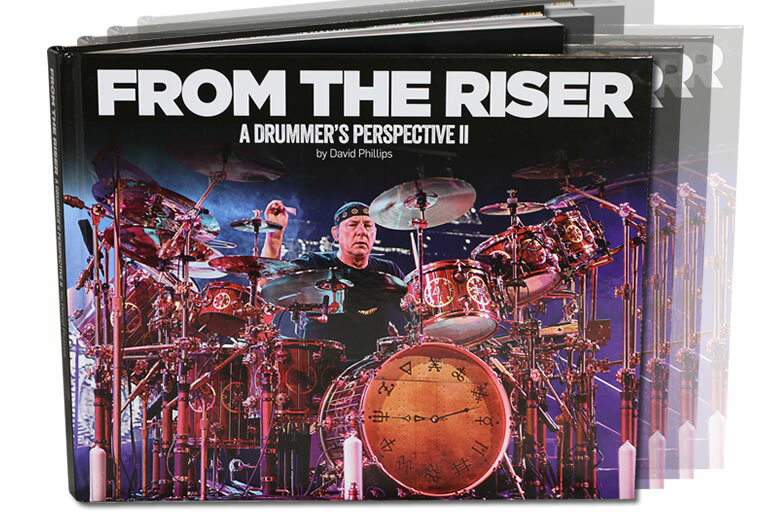 It features some of the most recorded musicians of the last thirty years coming together out of a desire to make great music together, free from the traditional constraints of an industry obsessed with profit. 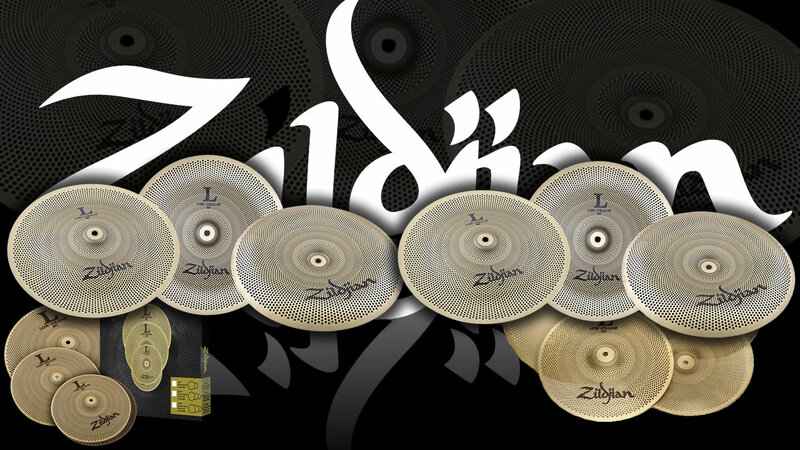 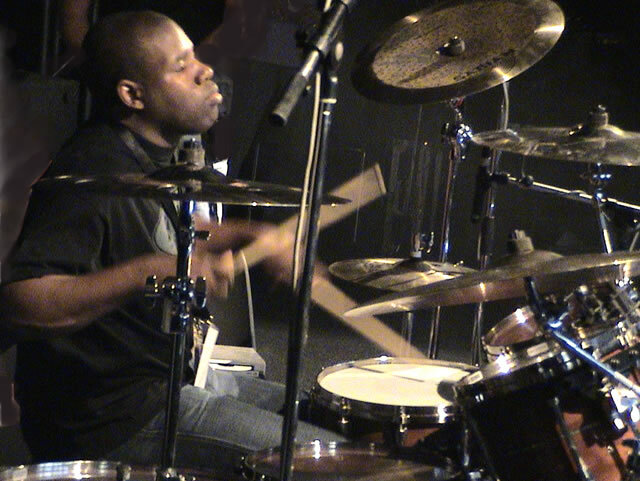 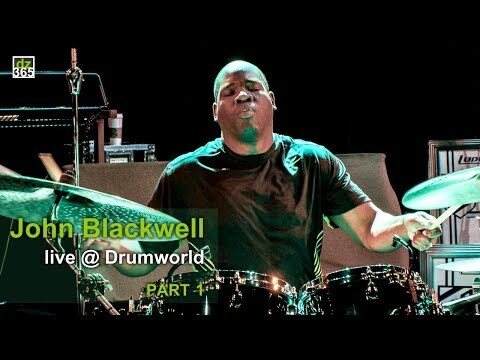 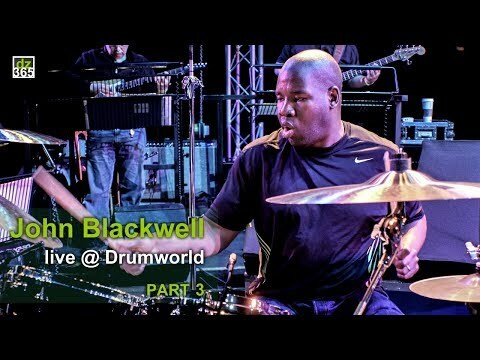 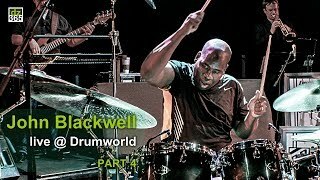 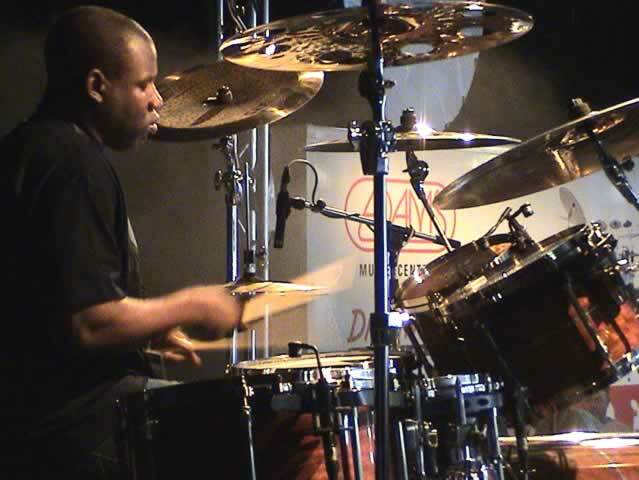 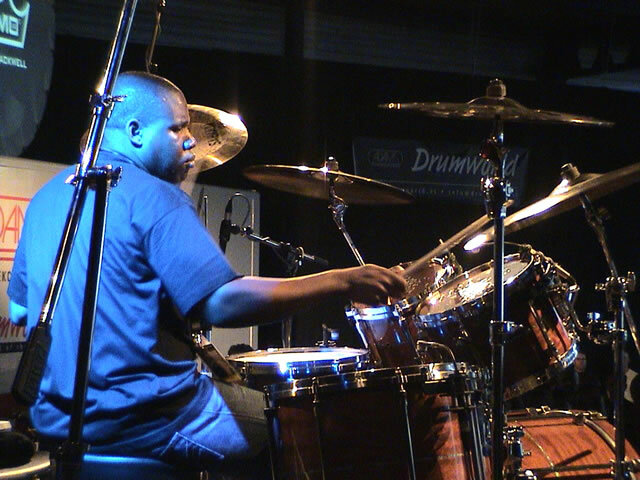 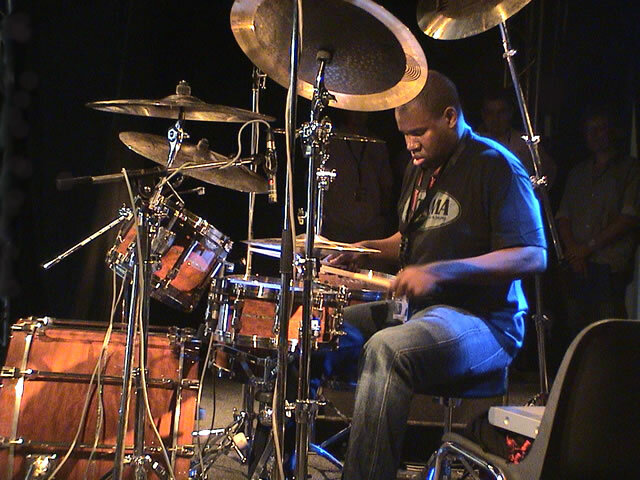 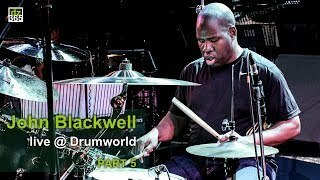 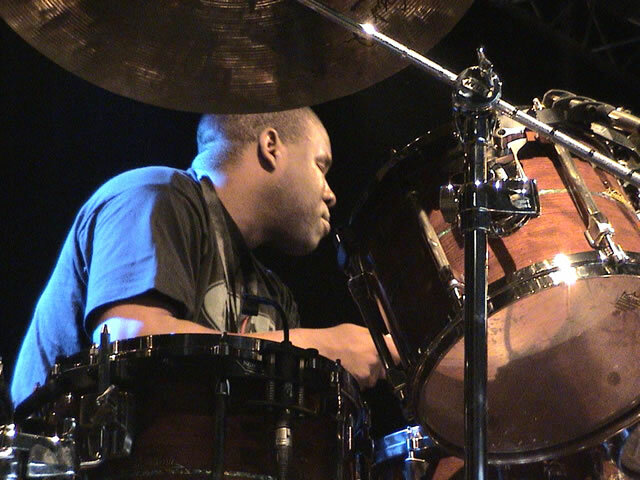 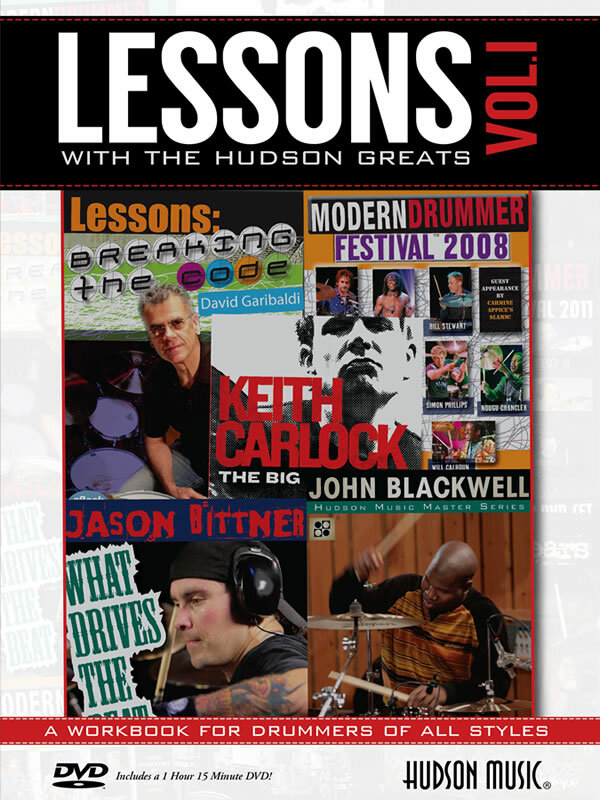 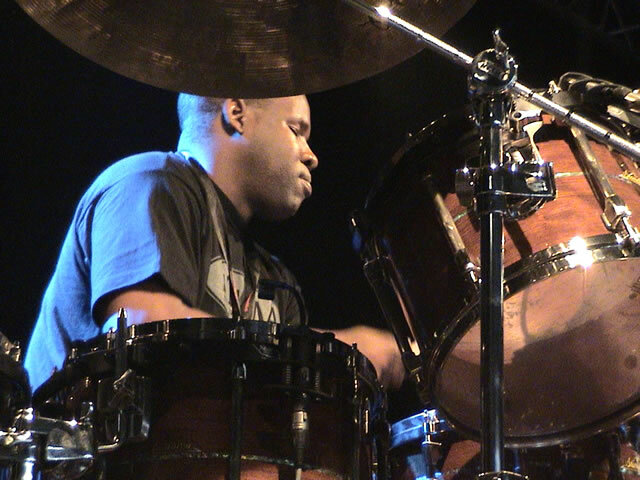 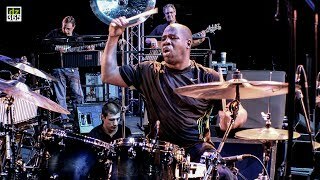 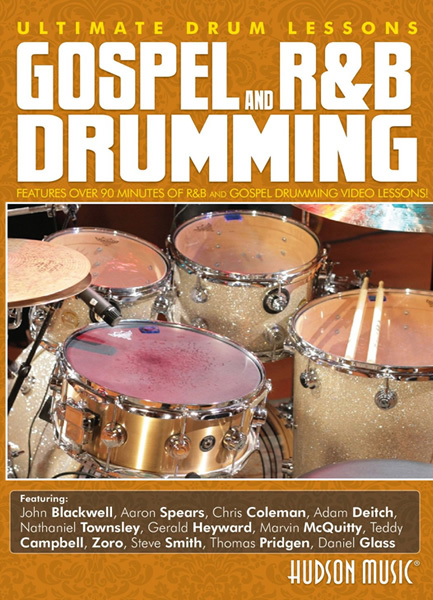 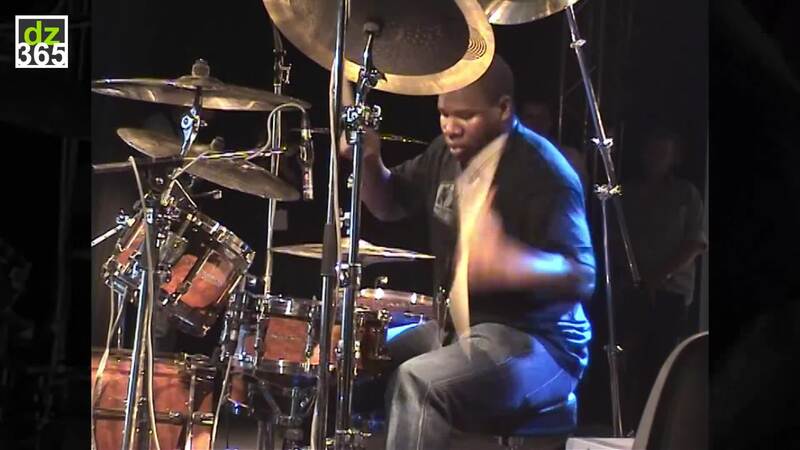 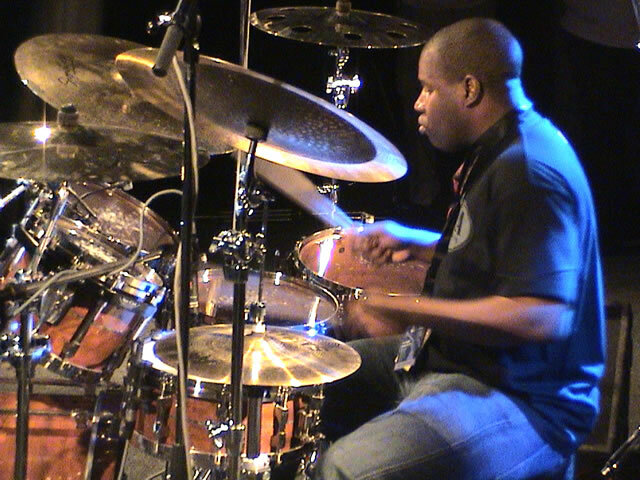 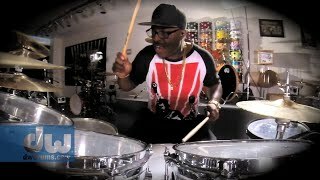 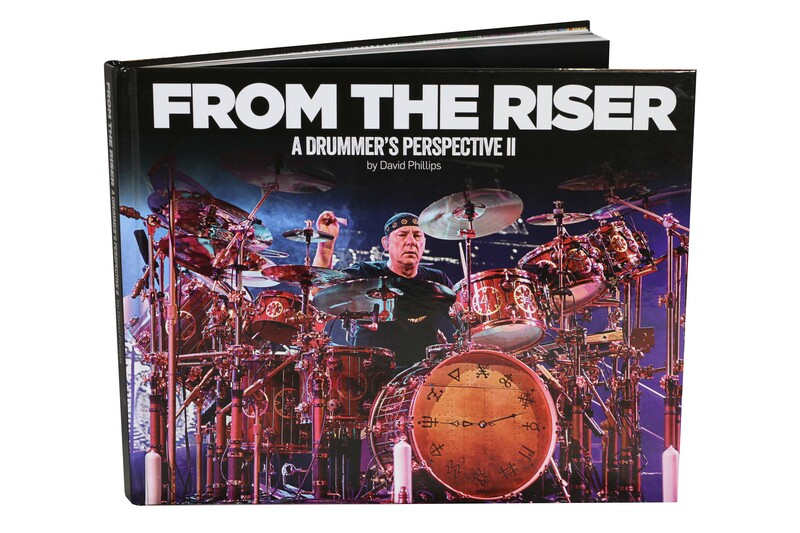 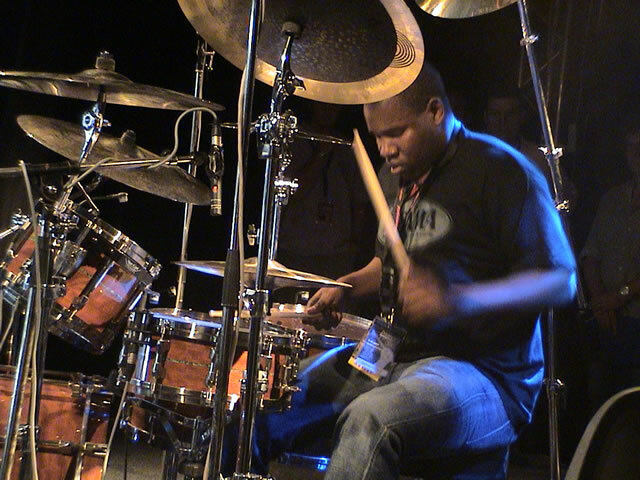 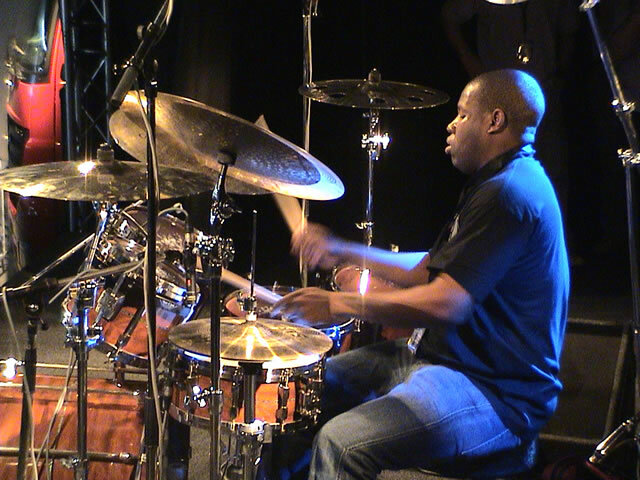 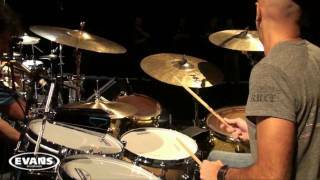 The grooving and free flowing drum tracks by John Blackwell are reminiscent of Billy Cobham and Tony Williams while still maintaining that "Blackwell pocket" which has made him the first call drummer for Prince, Cameo, Patti Labelle, Justin Timberlake and others. 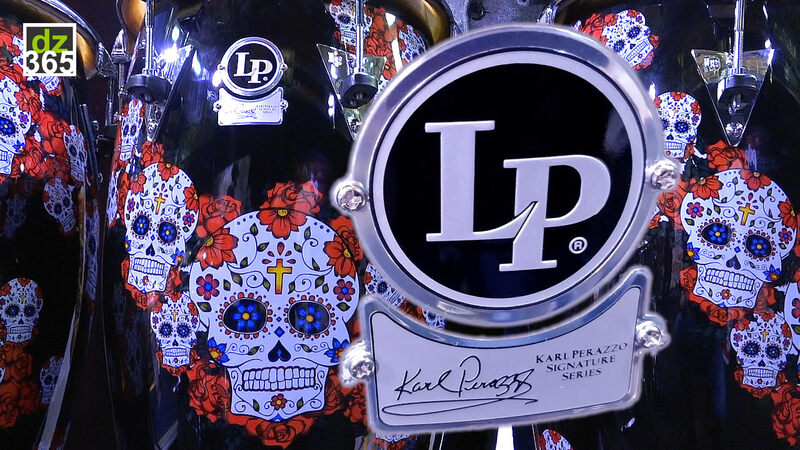 The guitars of Paul Pesco and Michael Landau soar with taste and power and help explain why James Taylor, Hall & Oates, Karizma and others compete to get their attention. 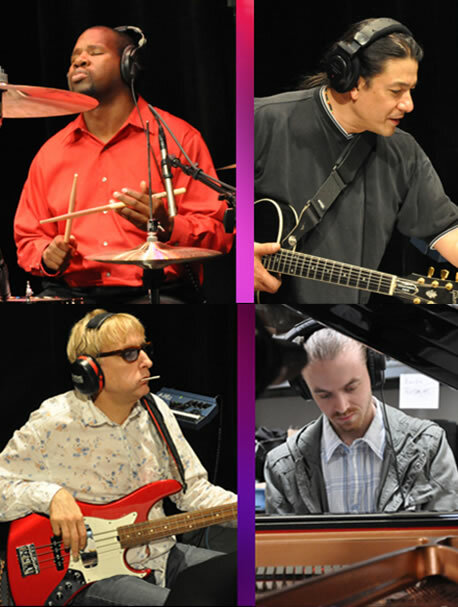 The keyboards of David Garfield and Corey Bernhard provide a sense of jazz tradition while adapting to the 21st Century. 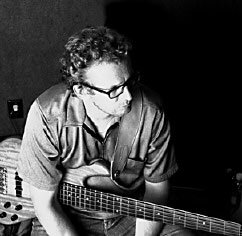 All of this is held together by the genius and spirit of Will Lee, the most in demand session player of all time. 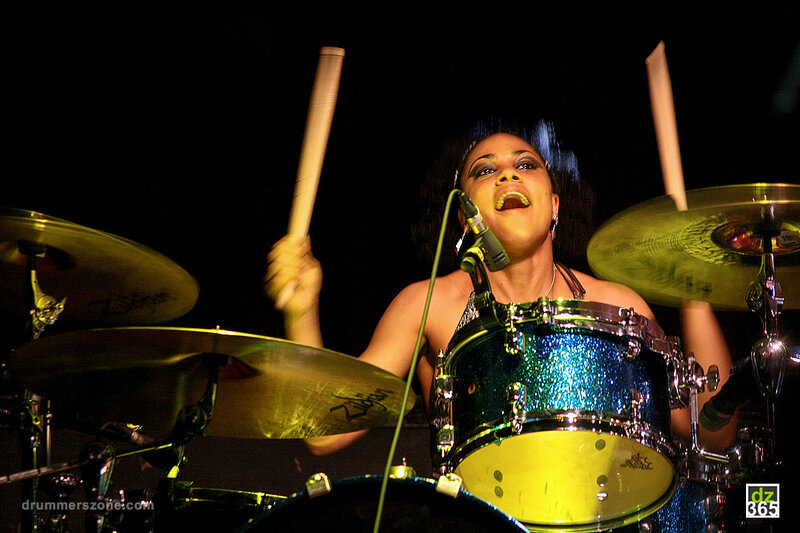 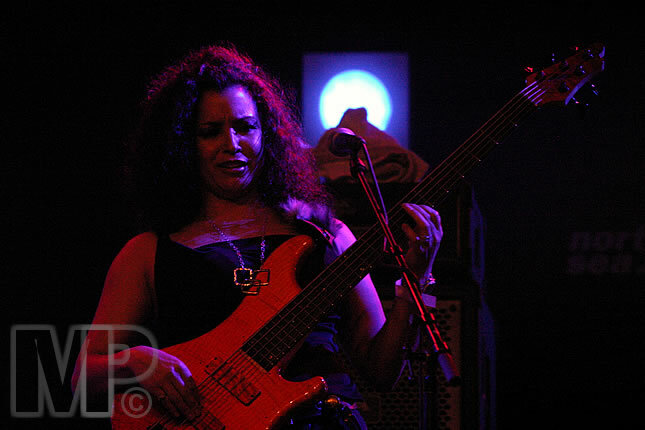 Put this core together with many, many guests, including Esperanza Spalding, David Mann, Terry Bozzio, Luis Conte, Sue Quin and others and the result is 4EverJia. 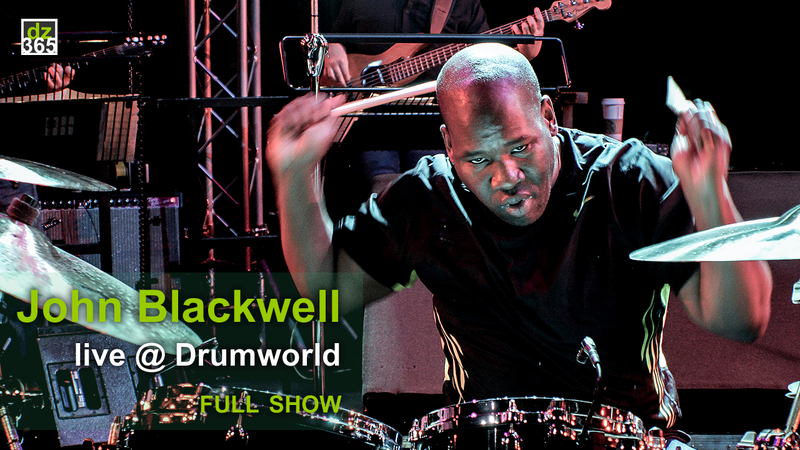 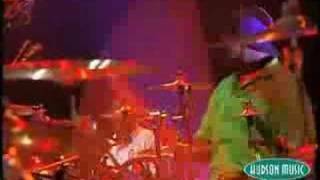 They don�t call him �Funky� John Blackwell for nothing! 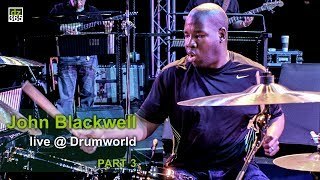 With a really big groove and chops to match, John Blackwell Jr. grew up listening to a lot of music. 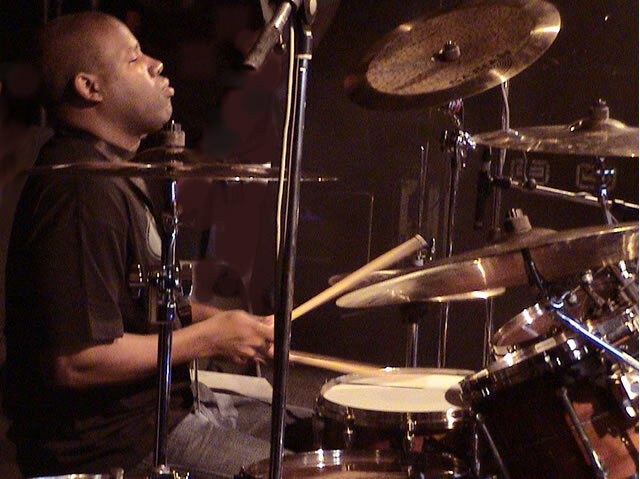 Everything from James Brown to Gino Vannelli, Earth Wind & Fire, Tower of Power, Sly Stone, big band, rock, jazz, blues� he liked it all. 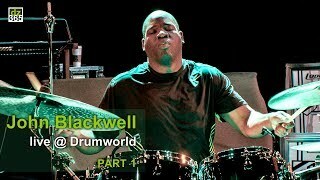 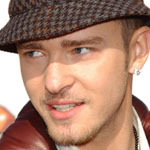 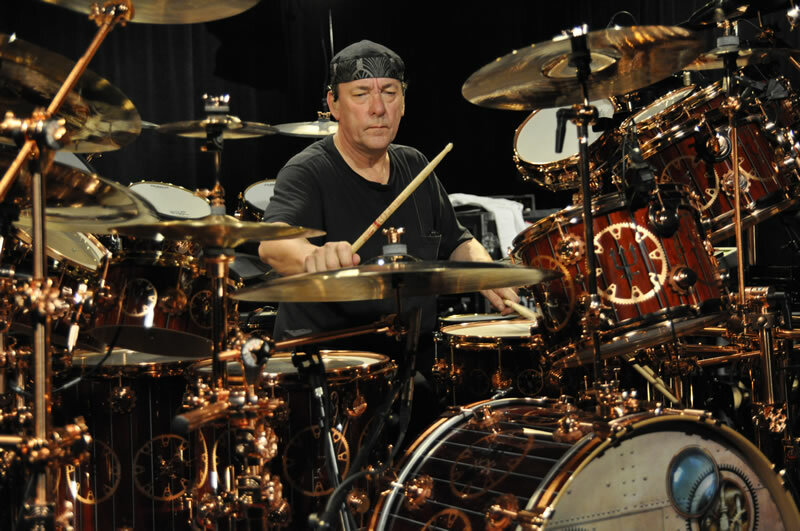 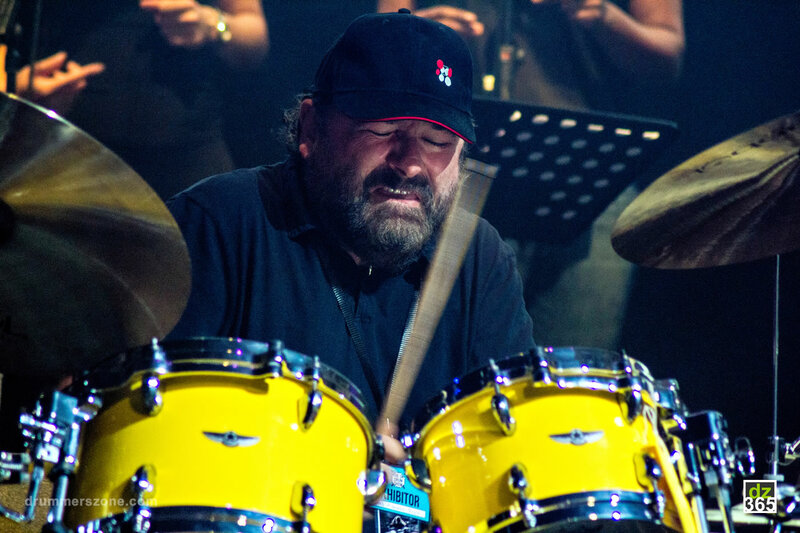 Plus his dad, John Balckwell Sr. was a drummer. 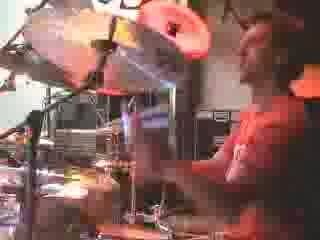 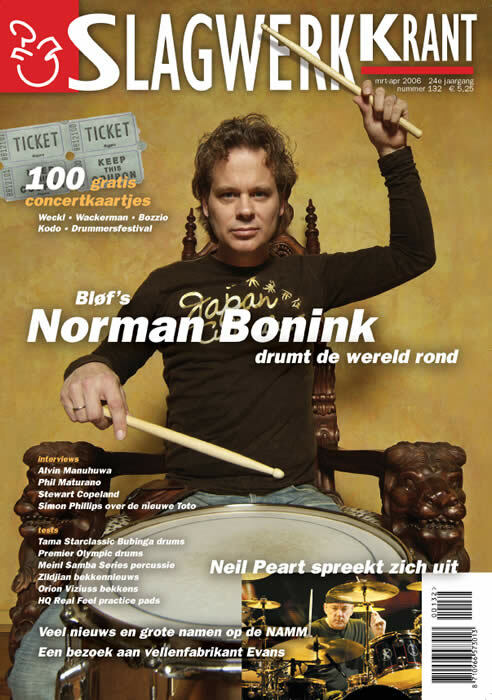 A fine drummer. 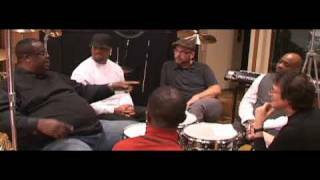 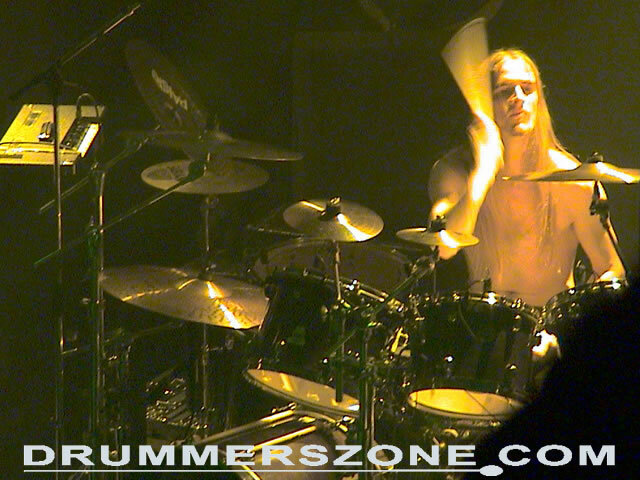 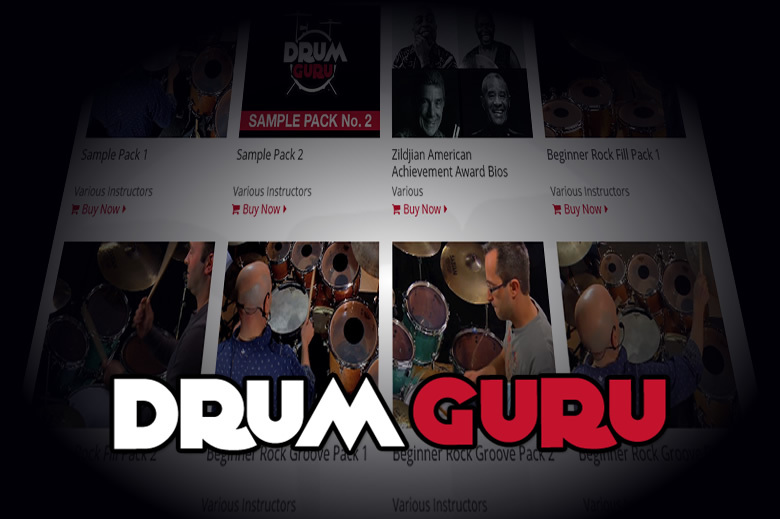 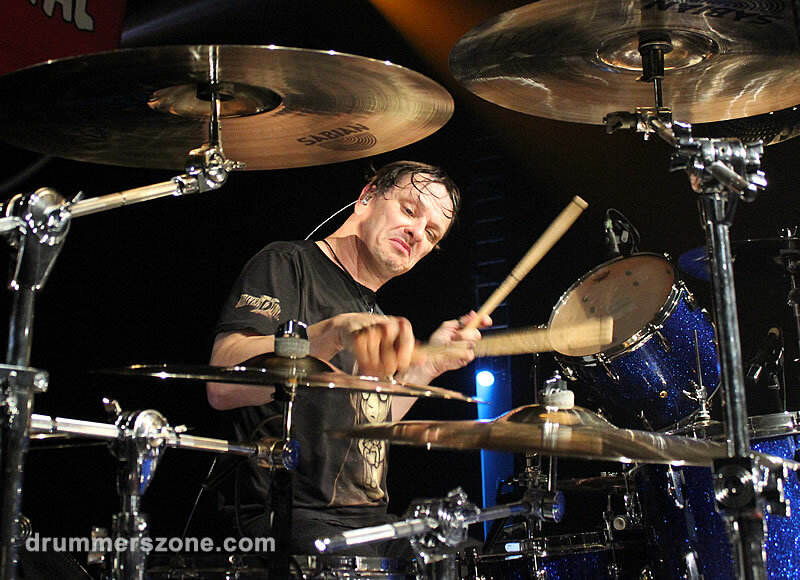 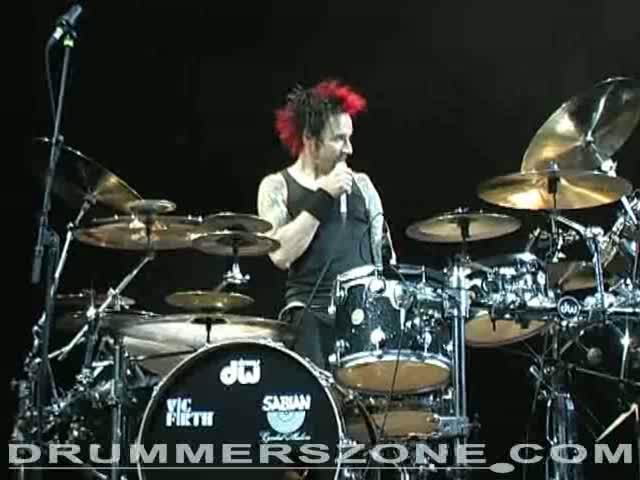 So John�s initiation into drumming was a natural evolution. 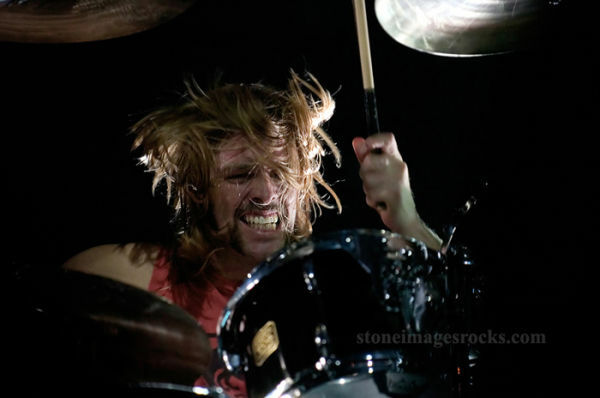 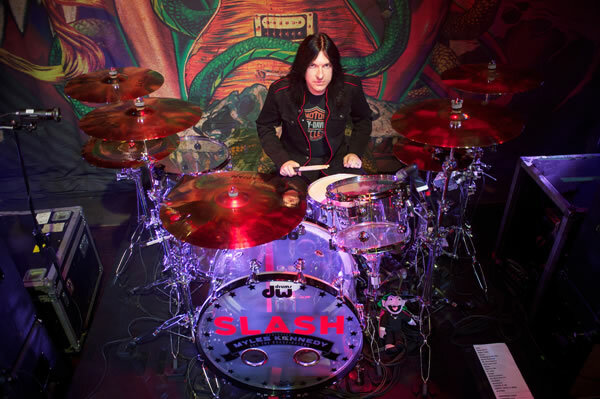 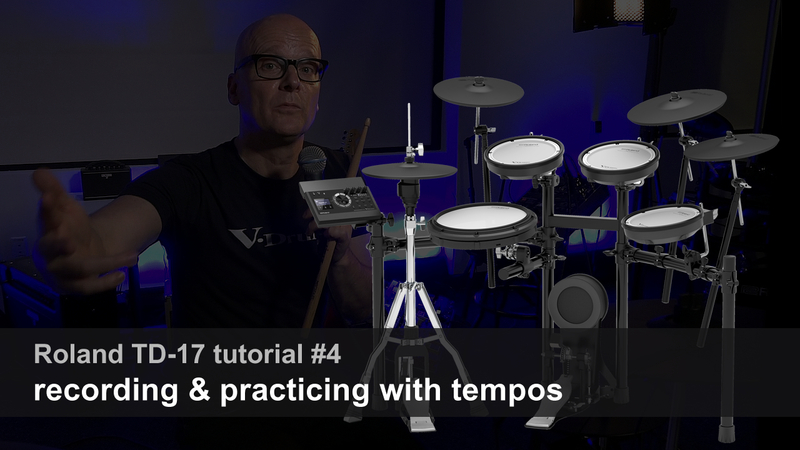 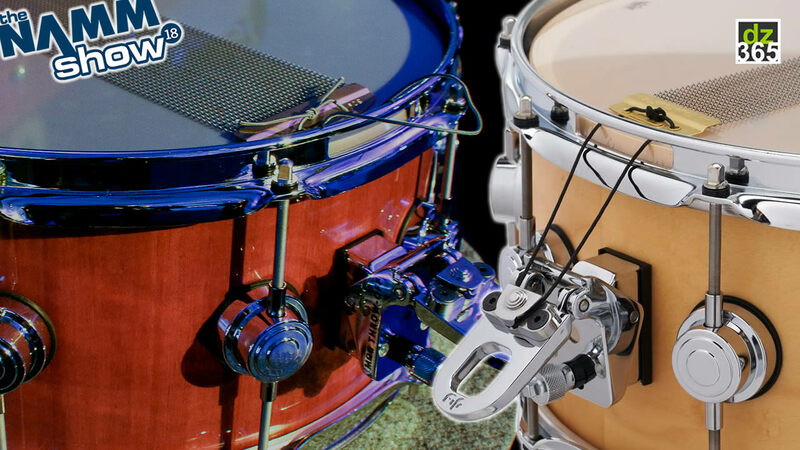 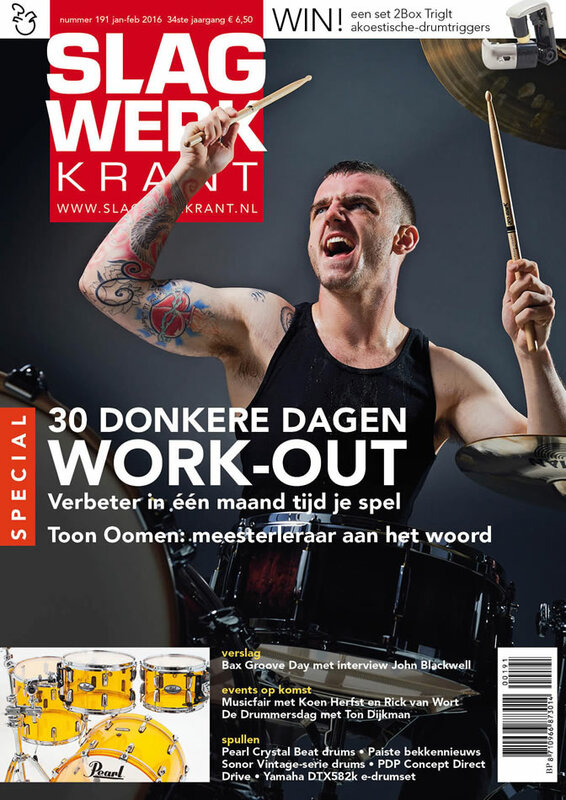 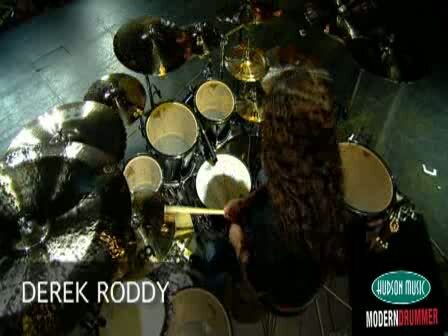 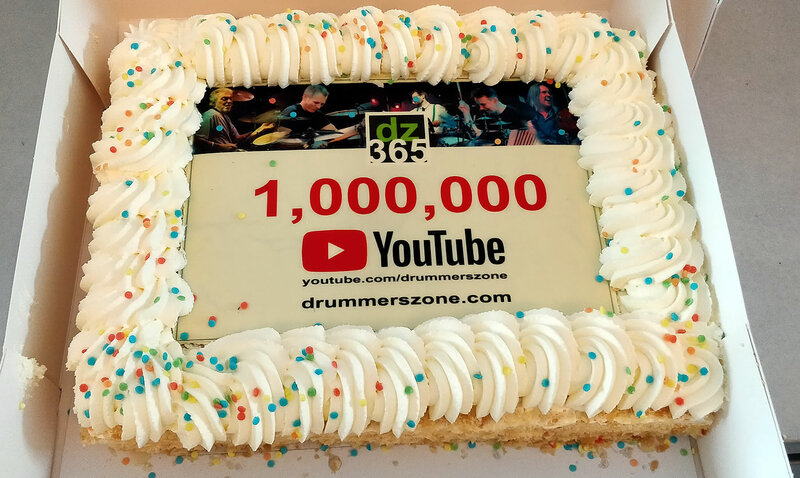 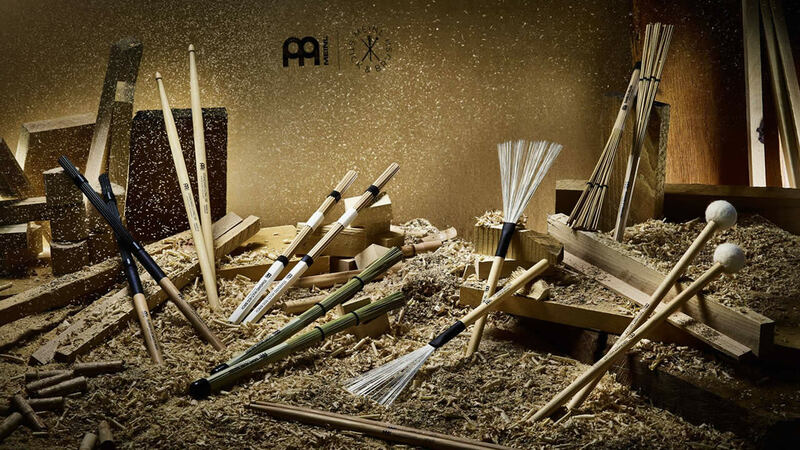 So keen was he that his practicing would include showmanship� in his bedroom, with his drums lit up, he practiced being on the big stage in front of thousands of fans. 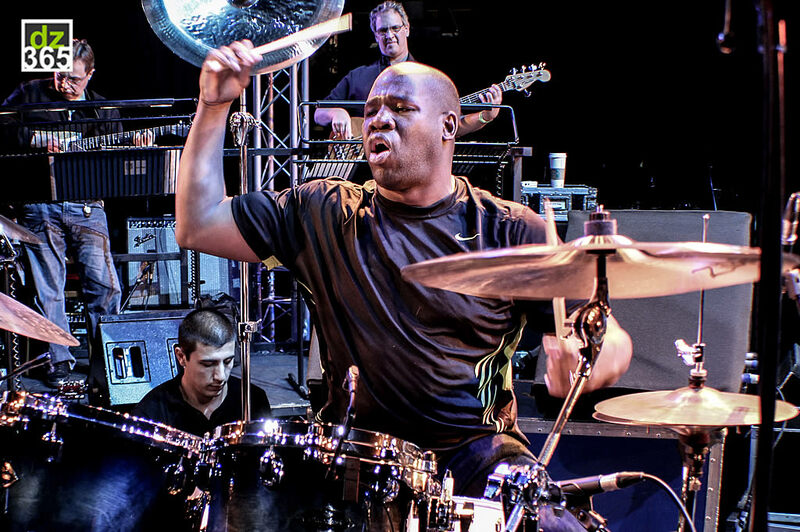 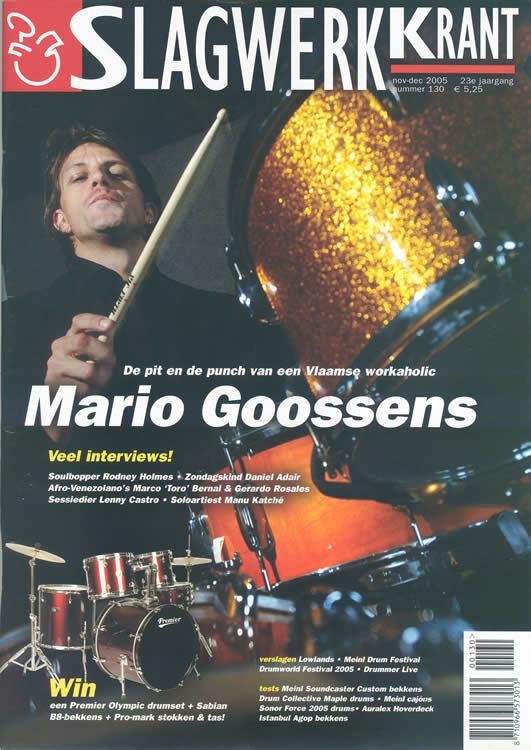 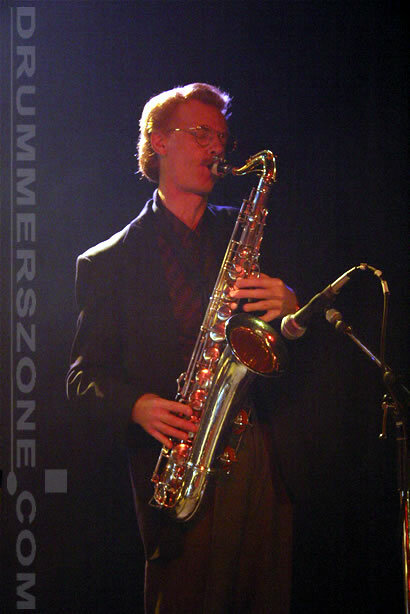 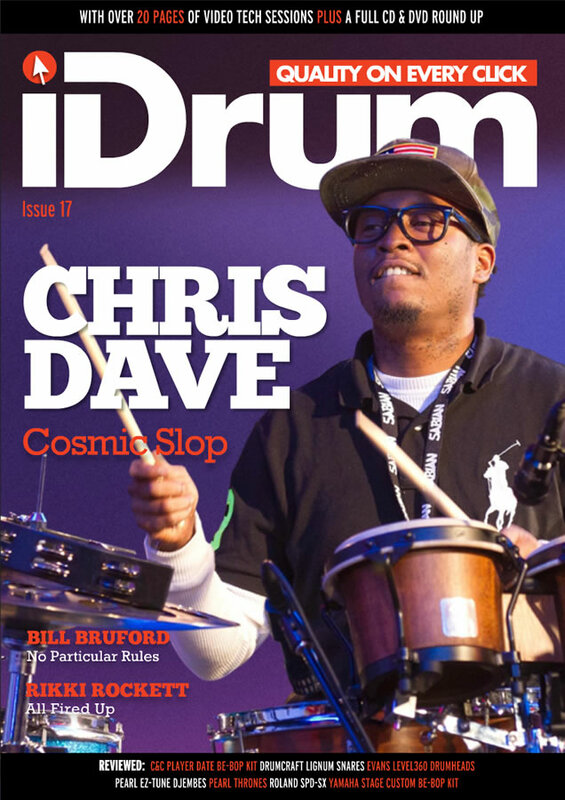 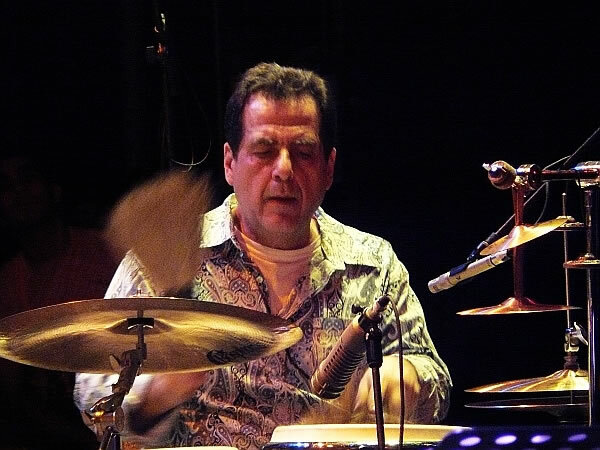 After attending the famed Berklee College of Music he hit the road with Larry Blackmon and Cameo, digging into classic chart grooves and getting lots of experience. 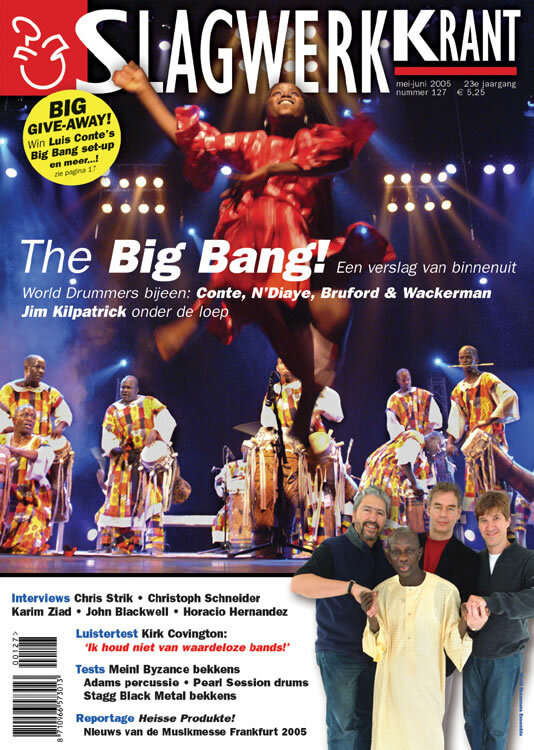 Next was chart topper Patti LaBelle. 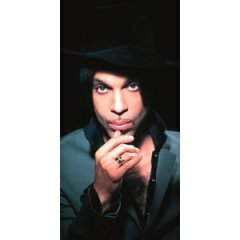 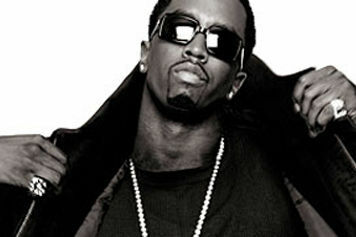 And then along came Prince. 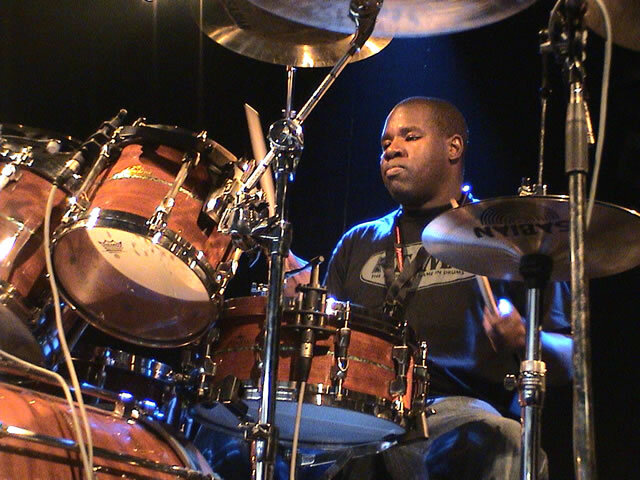 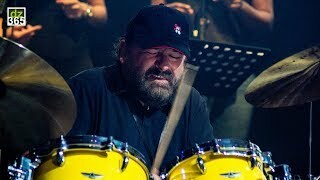 With his exuberant style, his funky feel, and exhibitions of stick spinning that set the crowd wild, he was the ideal choice for one of the most demanding musical bosses in the industry. 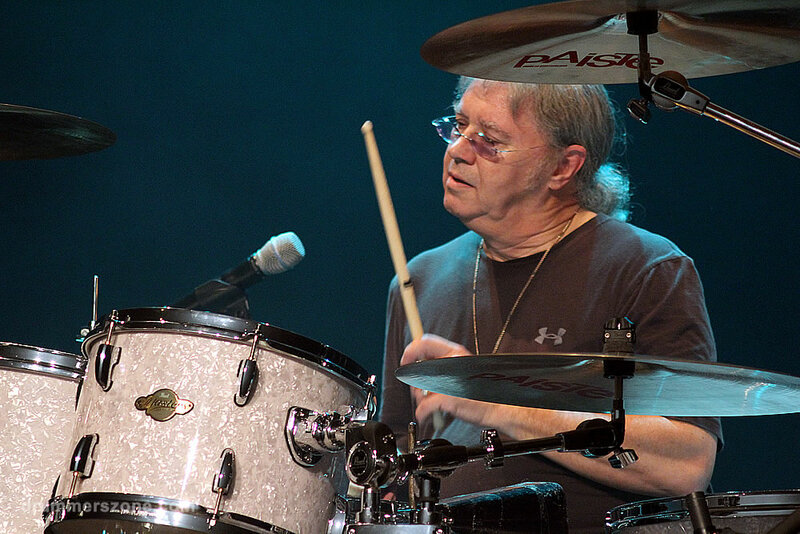 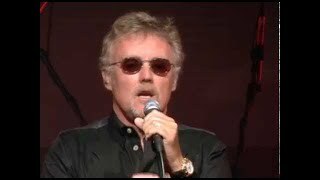 Debuting on The Rainbow Children and touring the world with Prince has not only taken John out to the world, it has brought the world to him. 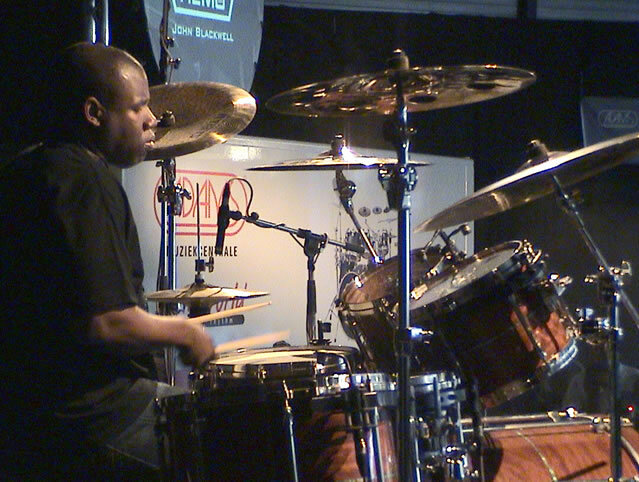 Now he plays on the big stage in front of thousands of fans. 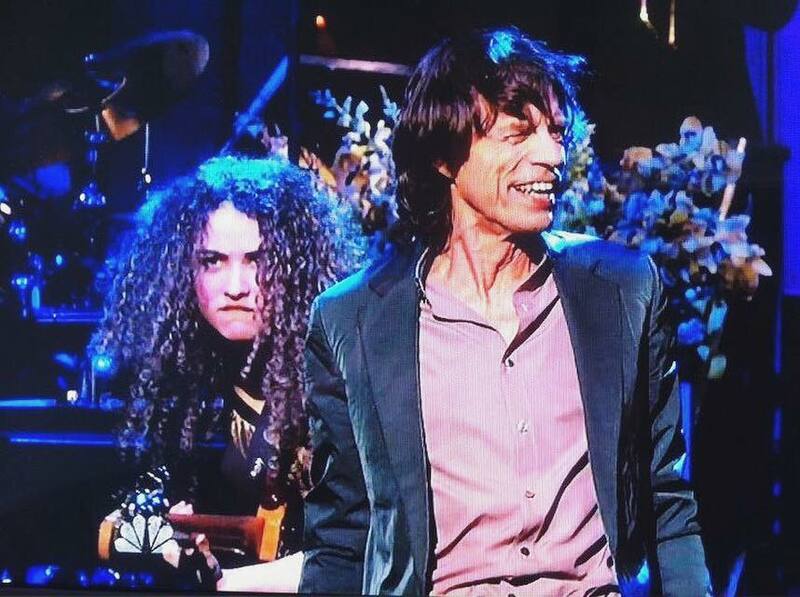 And when they hear him play, he makes their day.